E-pak 400G/200G SoC – Precise-ITC – ASIC / FPGA Innovation! 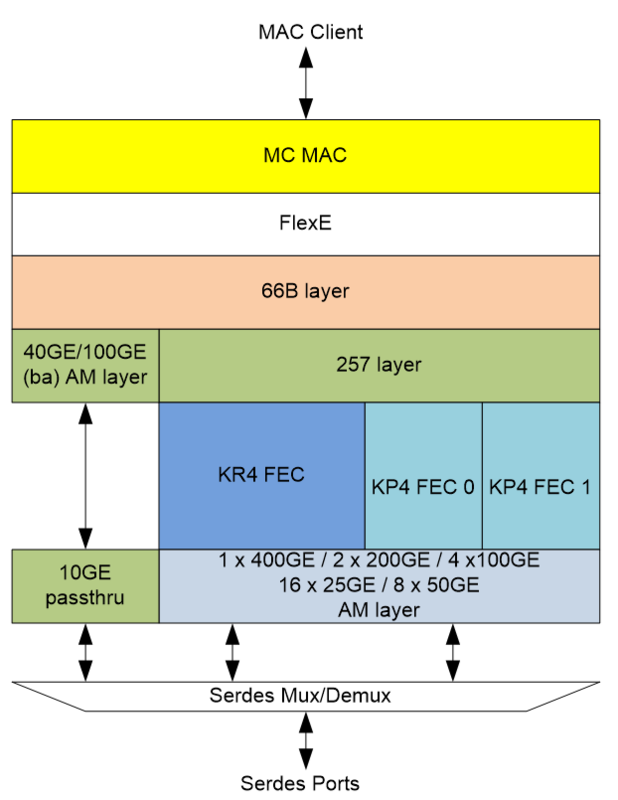 The E-pak cores provide FlexE 2.1/2.0/1.1/1.0 functionality and implement multi-rate Ethernet PCS and MAC. This versatile device allows users to add or drop sub-channels (for example 10GE) or merge channels (for example 4x25G = 100GE). These dynamic changes do not affect traffic on existing channels.